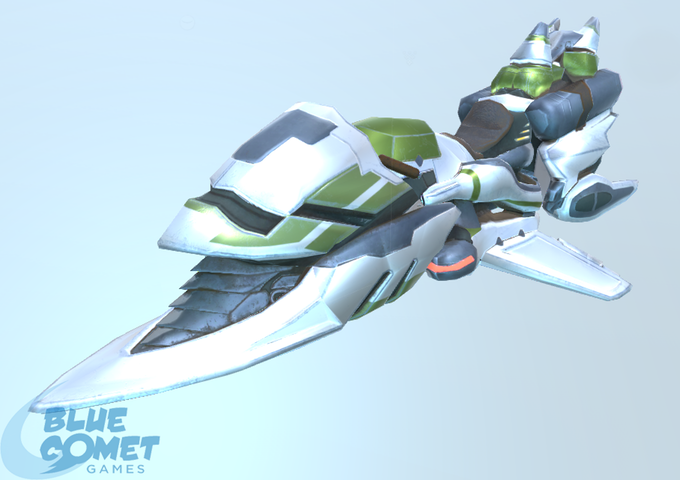 The upcoming fast-paced PC and Wii U futuristic racer Acro Storm has now landed on Kickstarter. Indie developer Blue Comet Games have launched their crowdfunding campaign with the goal of raising $55,000 to aid development of Acro Storm. Acro Storm is being touted as a "character based racing title" thanks to its eclectic mix of characters each with their own storyline. The racer is inspired by the likes of F-Zero and Wipeout but carves out its own identity with its character central focus and the inclusion of online racing clans. Acro Storm features a weapon system which provides the player with both offensive and defensive options. These options will need to be selected on the fly which adds a strategic element to the gameplay which will be sure to test your decision making skills. Blue Comet Games have lifted the veil on the game's weapons too with rapidfire cannons, heatseeker and deathlock missiles, arc lightning, and spreader mines all featuring among others. 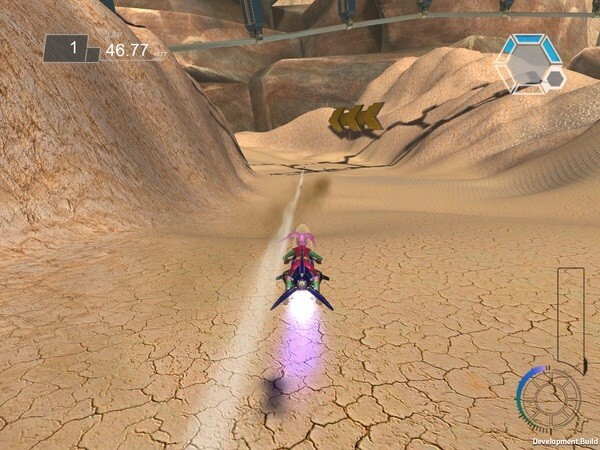 Weapons are sorted into tiers, to gain access to the higher tiers you must gather “power cores” which are sprinkled on the tracks during a race. Airbikes are divided into three weight classes: Sport, Cruisers (pictured right) and Pocket and each have four stats: top speed, accel, handling and shield. Acro Storm will initially grant you access to basic visual customisation options however as you progress you can unlock different parts such as the engine, chassis or headpiece which can be swapped out for ones with greater performance. You can show your support for Acro Storm by donating towards their campaign here.